Yep, I can edit anywhere, any time. Ever since I was a girl, I've always wanted to create books. In college I studied children's lit at Brown University, then I got my MFA in Writing for Children & Young Adults from Vermont College. For the past 25 years I've been editing and art directing children’s books, collaborating with authors and illustrators on hundreds of titles. I've also written some children’s books of my own, which have won a bunch of awards (see below). For 13 years I shared my passion for kid's books teaching Children’s Book Publishing at Portland State University. When I don't have my nose buried in a book, I'm an adrenaline junkie--I love snowboarding, whitewater rafting and scuba diving. I live in Portland, Oregon, with my husband, my two kids and three cats. Book consumer at an early age. Looking back, I feel like I was destined to write and edit children's books. All the signs were there. As a girl, I loved books more than just about anything. My favorites were Beverly Cleary novels, A Wrinkle in Time, and comics like Little Nemo in Slumberland (this was before the invention of graphic novels). I was super shy, so books were my best friends. I remember one time I went to a classmate's birthday party and a few hours later her mom called my mom to say I had gone missing. My mom replied, "Check the closet." Sure enough, they found me there, curled up with the birthday girl's books. I'd still rather curl up in the closet with a book than go to parties. 8th grade yearbook editor-a title I really liked! My childhood was filled with writing and editing. The first story I remember writing was in 3rd grade. It was about a blob of gum stuck under a bed that comes to life and attacks the kid who left it there (I was a big chewer and leaver of gum blobs). The story was gruesome and scary, but ended with the lamest line ever, "And then she woke up and discovered it was all just a dream." Where was an editor when I needed one? Book that led me into publishing. In high school, while working as a nanny, I read a fabulous picture book to the boy I took care of. 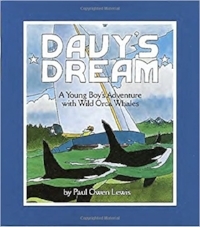 It was Davy's Dream by Paul Owen Lewis. I loved the story, which was set in the Pacific Northwest and was full of magic and orca whales and a call to follow your dreams. And the art was gorgeous. When I checked to see who published it, I discovered they were here in Oregon. Weird, I thought to myself, Maybe someday I'll work for them. And that's just what happened. After studying children's books in college, I got a summer internship at Beyond Words Publishing, the publisher of Davy's Dream. I started out reading the slush pile (all the manuscripts that come in), and worked my way through answering phones, publicity, marketing and finally, into editing. 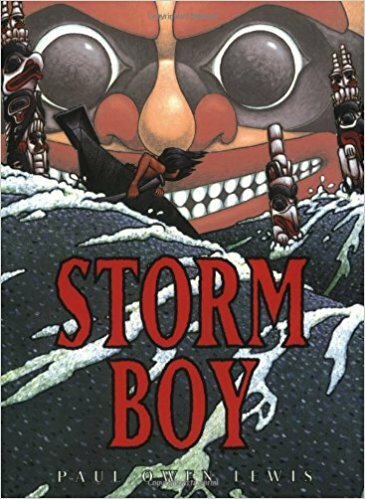 One of the first books I got to work on was another Paul Owen Lewis book, the award-winning Storm Boy. I spent the next ten years at Beyond Words, launching and running their children's division, and publishing tons of awesome books (for more details, check out my Resumé or Editing & Art Directing pages). I also started writing children's books of my own. First were collections of kid writing, which I compiled and edited: Girls Know Best, Boys Know It All and Going Places. Then I took two years off and traveled the world collecting stories and traditions about fairies, which turned into Finding Fairies. My passion for heroes and heroines led to Luba: The Angel of Bergen-Belsen, as well as the Girls Who Rocked the World and Boys Who Rocked the World series. In 2001, I launched my freelance company, McCann Kids Books, editing, art directing and acquiring children's books for a variety of publishers. I specialize in regional publishing, but I have worked for large national publishers as well. Now I pretty much spend my days in my pajamas, either writing my own children's books, or reading other people's books and thinking of ways to make them better. The little girl in me can't believe my luck. best movie lines ever: "I love you." "I know." 1. I don't like sweets. Not cake. Not ice cream. Not candy. For my 8th birthday, I insisted on a pile of wiener wraps instead of birthday cake. I devoured eight of them. Best birthday ever. 2. I have a knack for remembering song lyrics. And yes, I am one of those tyrants who will correct you if you sing it wrong. 3. I have a tattoo of Tinkerbell. She was my hero when I was young. Not because of the fairy dust, but because she's a badass. Think about it... Wendy comes in, tries to steal Peter and the Lost Boys away from her, so she has her shot with an arrow. Don't cross Tinkerbell, she'll mess you up! 4. If I wasn't a writer/editor, my other dream job would be professional snowboarder. Sadly, I am now a bit too old for that path, but I am happiest when I'm up on the mountain.